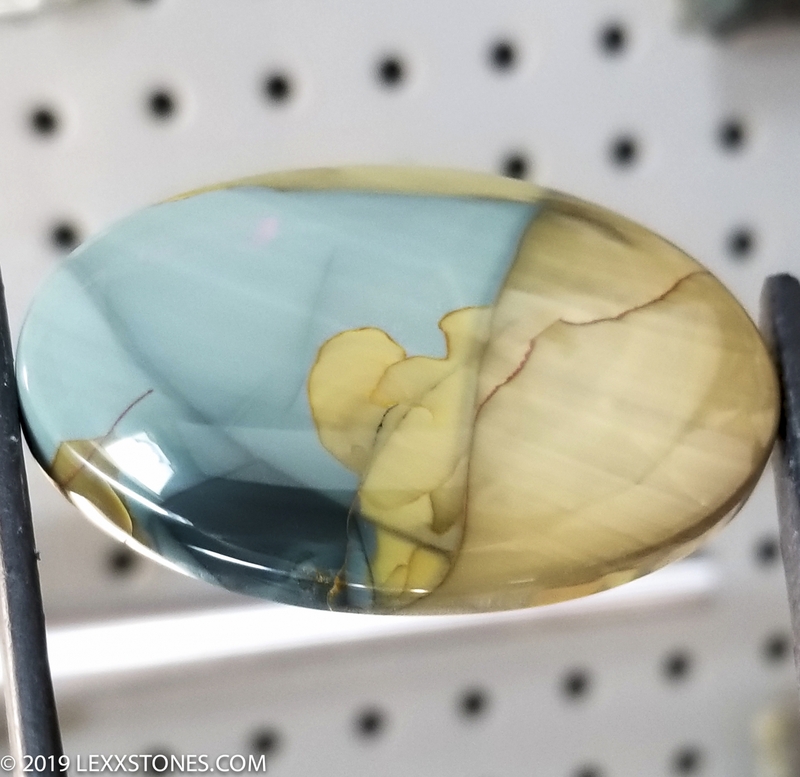 Here for your consideration is an outstanding Blue Mountain Jasper Cabochon. 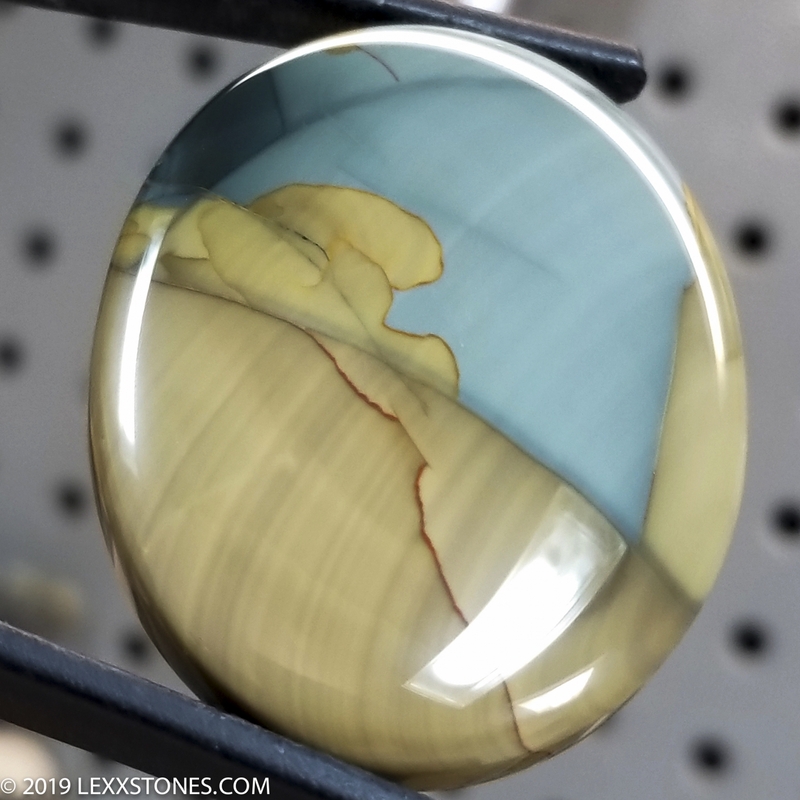 Blue Mountain Jasper (in this humble lapidary artist's opinion) is the nicest of the five fine jaspers. It is also the rarest. I acquired this rough directly from the claim owner.. The exact location of this mine is only known to a few select and trusted people and for good reason - It's OURAGEOUS stuff! 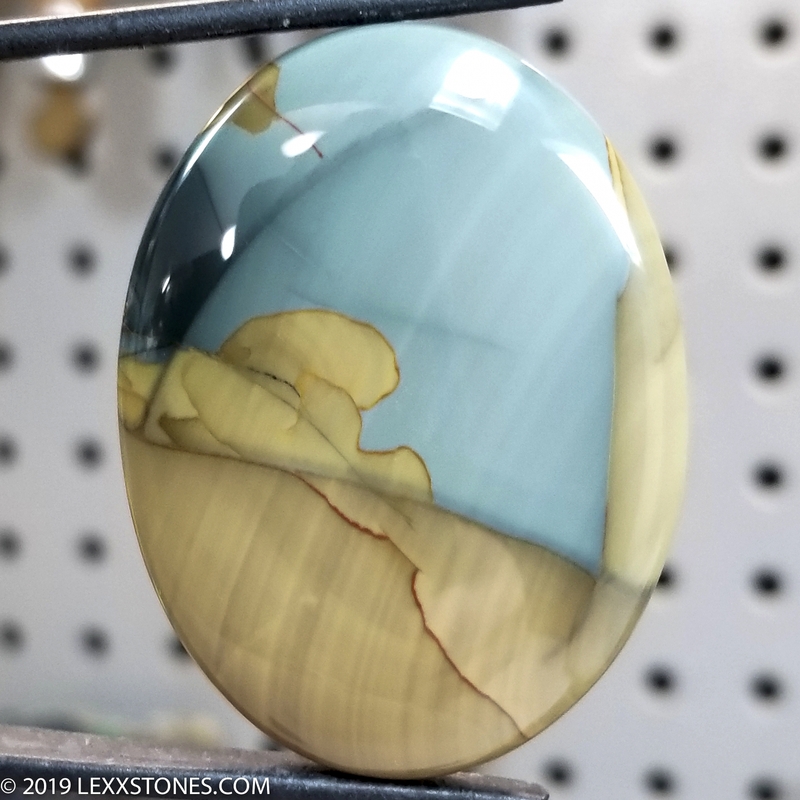 Best known for it's wild overlapping patterns, deep colors and WICKED shine, Blue Mountain Jasper is also extremely hard on the MOH's scale.